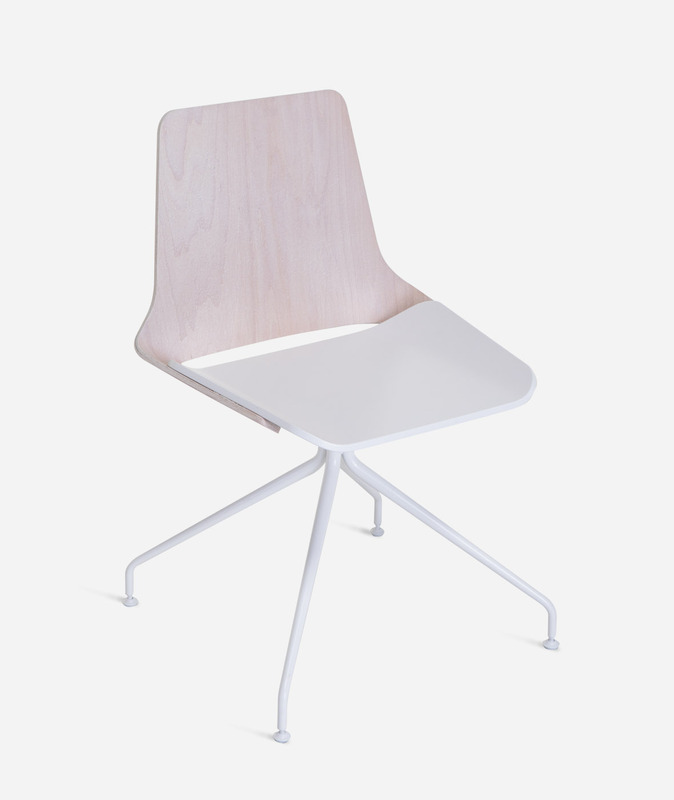 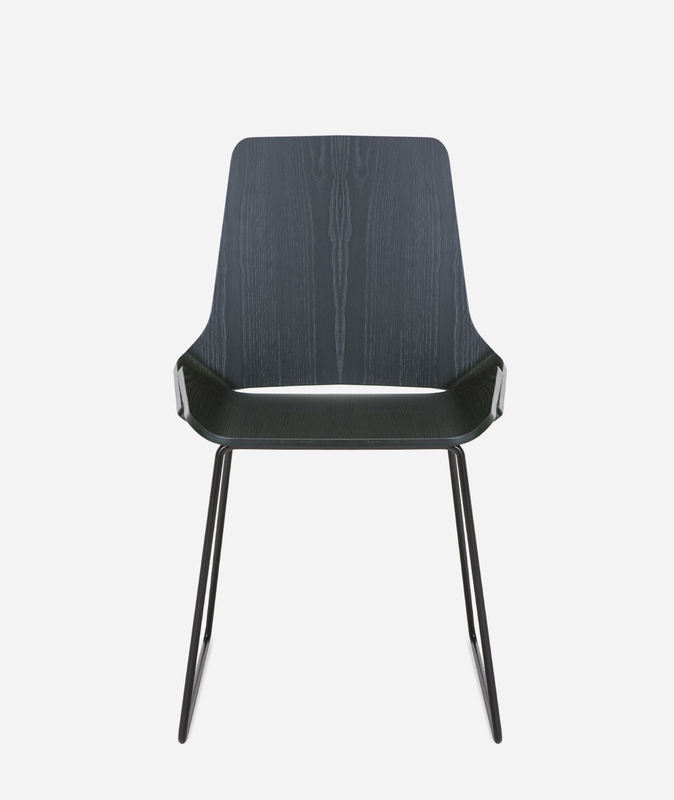 Designed by Roger Vancells, the Kimmi is an expressive chair with sober and contemporary lines. 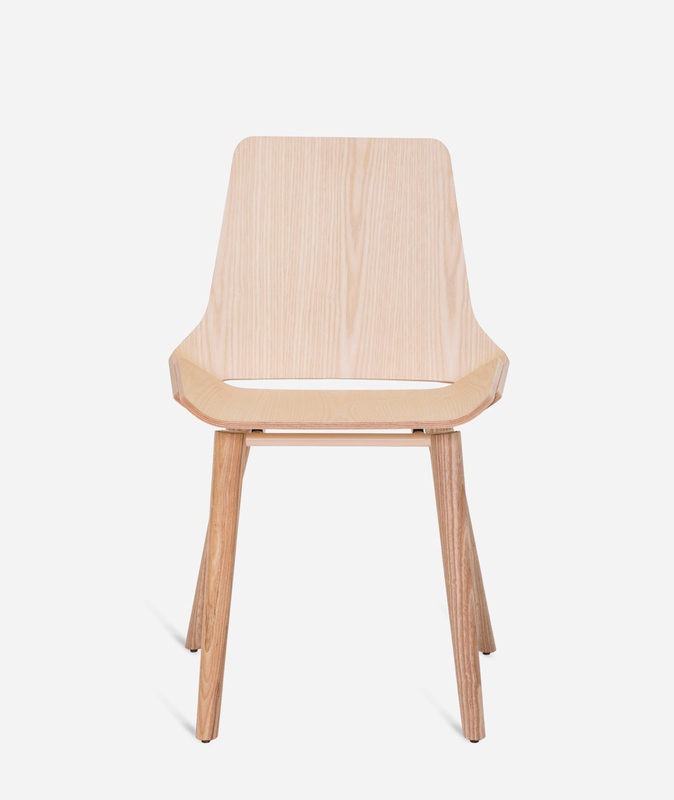 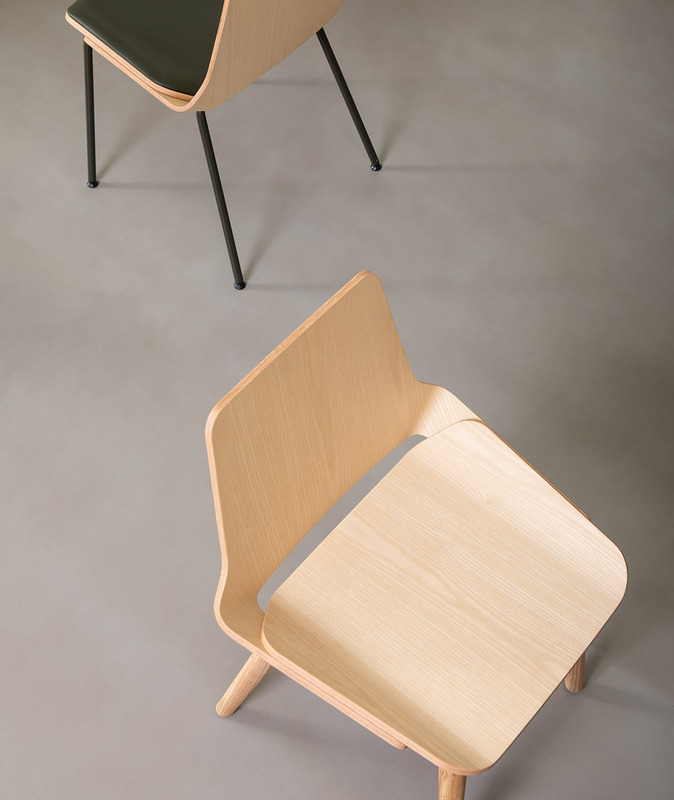 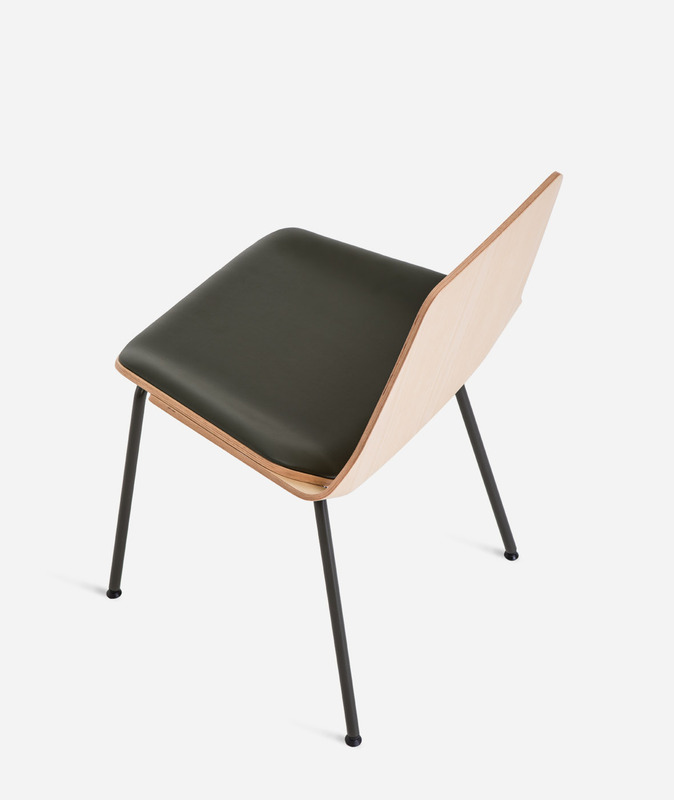 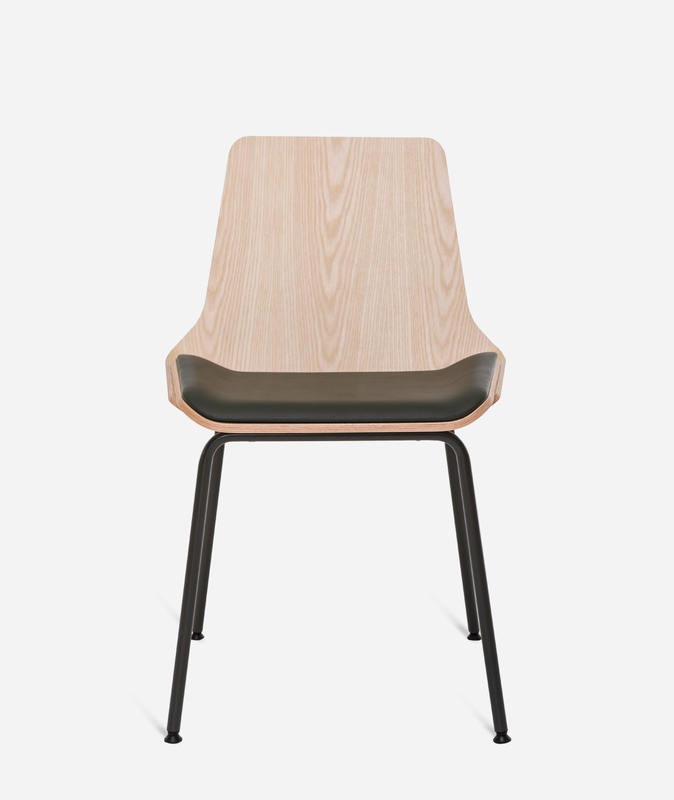 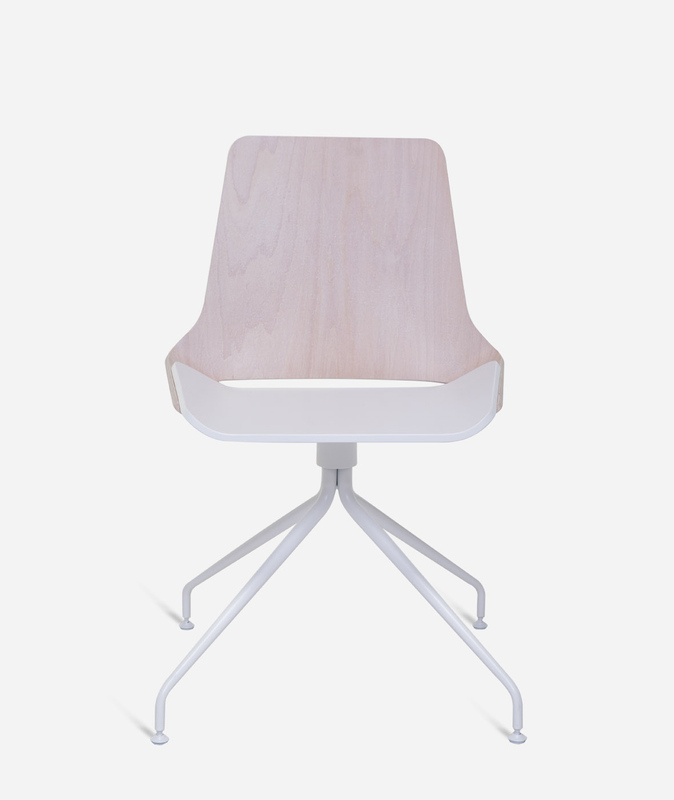 It ingeniously and naturally joins two pieces of laminated wood to form the seat and back. 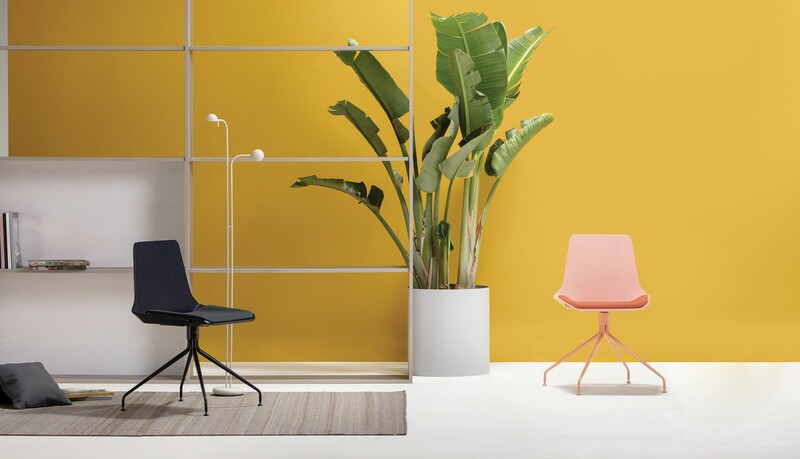 Chairs with balanced chromatic compositions are created by playing with finishes and combining natural and lacquered woods, as well as upholsteries. 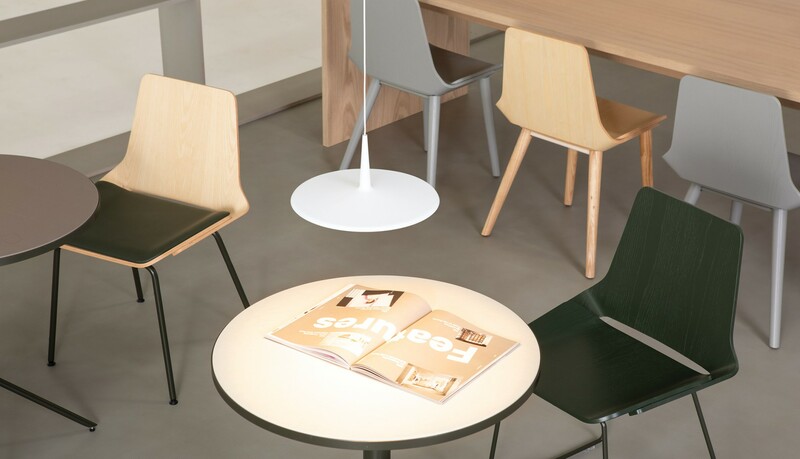 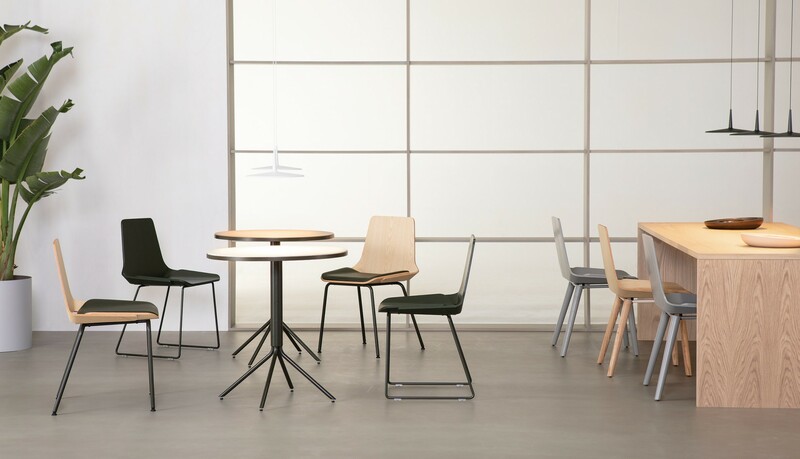 Because of its design, the Kimmi collection can be adapted to both casual work environments and modern restaurant spaces. 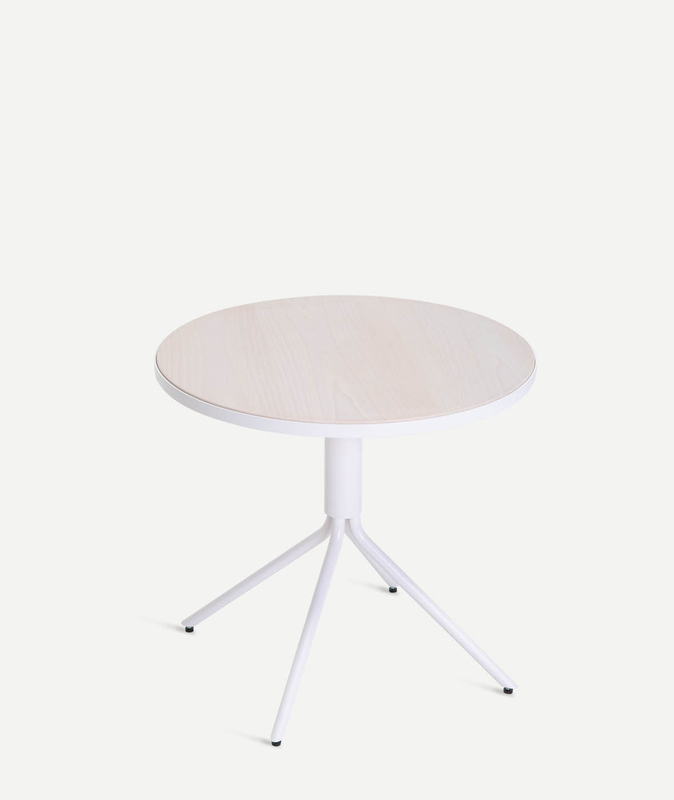 It comes in four frame types: metal or wood tube legs, a sled base or a swivel base with four spokes. 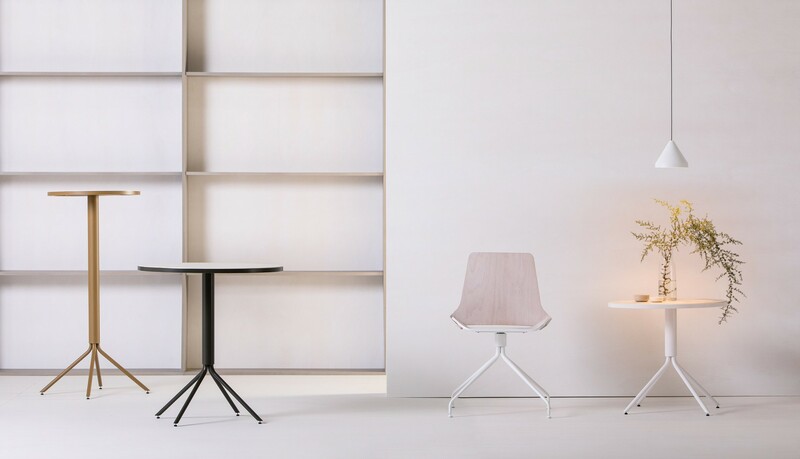 The chairs are complemented by tables of three different heights. 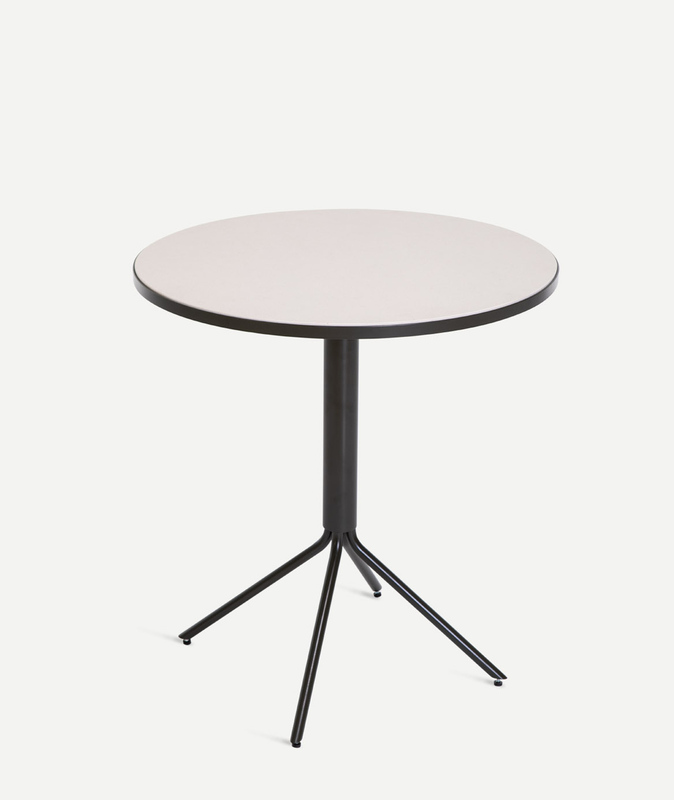 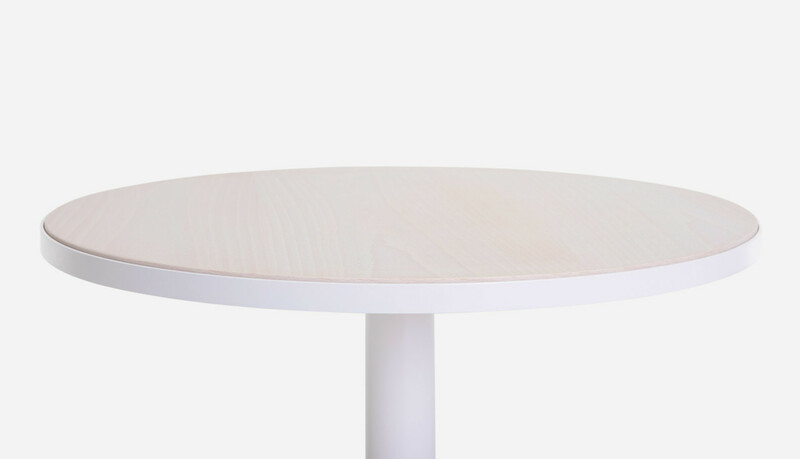 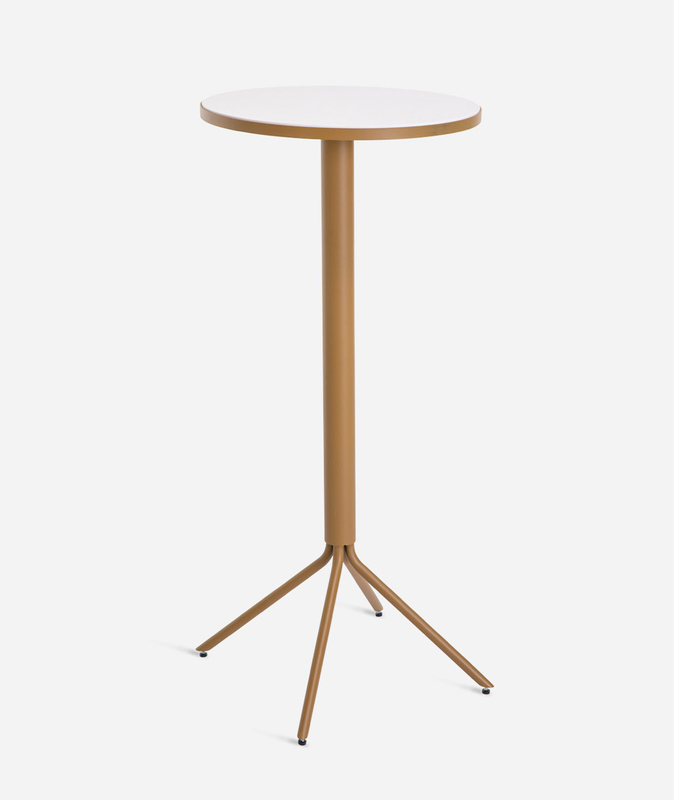 Built with a lacquered metal tubular structure, the tabletop is framed by a metal border.